The WHL Group is a private entity owned by a private entity found in Hong Kong. The company is incorporated in several countries, Mauritius Included. 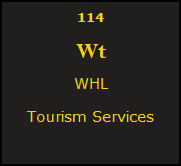 WHL aims at giving customised experience to all its customers, hence its policy to recruit representatives who speak the language of the country, knows all the destinations, and can provide wonderful trip advices to clients.he Group is present in Mauritius and Rodrigues, providing a wide range of services that meet the high standards of WHL that can be consulted at http://www.rodrigues.holidays.io/ from accomodation booking and rentals, search engines, trips to others islets, the page company have build a solid reputation in the industry.